As of 1/6/19 Forest Halls Celtic is no longer airing. Read about the end of the show and what is coming next here. 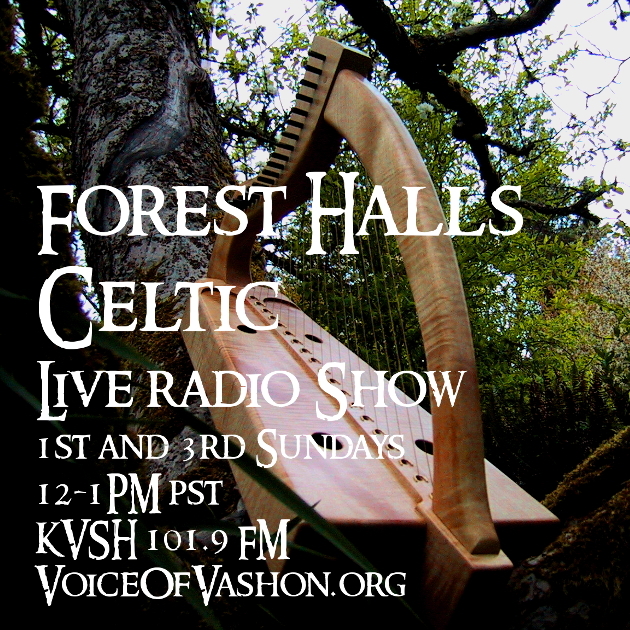 Forest Halls Celtic airs 12-1pm PST. Catch the show via streaming on VoiceofVashon.org or locally on 101.9fm. Each show is available for two weeks for on-demand listening. Our first show aired Sunday, April 3, 2016. Currently we are airing encore shows, with occasional live episodes. This show is a fun and refreshing mix of mostly contemporary and traditional Celtic music, with forays into folk, World, medieval, and Renaissance music. Along the way we enjoy folklore, poetry, myth, and other greenwood magic. We feature Celtic harp in every episode, and the ancient wire-strung harp quite often. 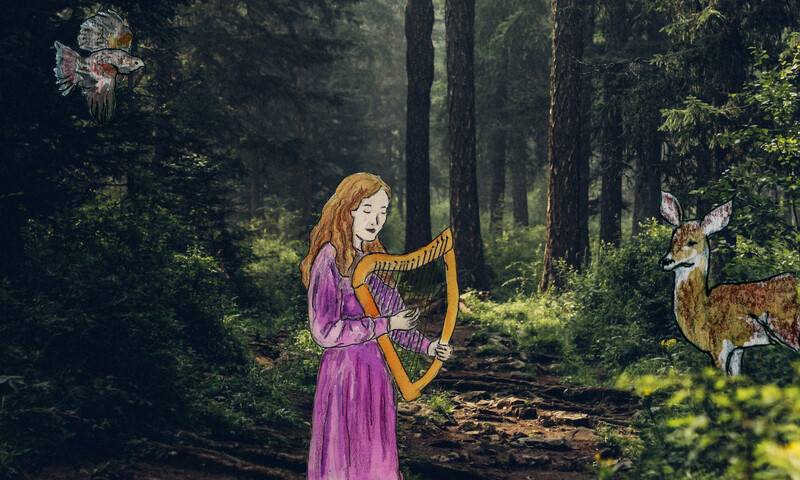 In addition to regularly playing music from the Celtic lands (Ireland, Scotland, Wales, Brittany, and so on) we also highlight Celtic and Celtic-inspired music by Pacific Northwest and northern California artists. Hosted by Jane Valencia – Bardic harper and storyteller. Access our play lists here. In our early months we also posted additional information about the music in the show: Access our show notes here.